Check Out a New Video Featurette for Horizon Zero Dawn! Sony PlayStation launched a new behind-the-scenes video today for the highly anticipated RPG, Horizon Zero Dawn. You can check out the latest video in the player below. The new video offers some insight into how Guerrilla Games created the Machines depicted in the world of the game. The video features some new behind-the-scenes footage and interview clips with the development team at Guerrilla Games, who go more in depth on the creation of the creatures of the game. There’s also a look into the abilities at Aloy’s disposal in the world of Horizon Zero Dawn. So far, the game looks very impressive. The open world looks vibrant, and the premise is intriguing. The creatures look to be the most interesting mystery of the whole game. So, hopefully Guerrilla Games will be able to deliver something special here. Horizon Zero Dawn launches on February 28, 2017 The game will be exclusively available for the PlayStation 4. Horizon Zero Dawn is an open-world action RPG, where players take the role of the skilled hunter Aloy, who explores a world that’s been transformed and is now inhabited by strange creatures that are mechanical but act like they are live, wild animals. Players have to go on a quest to unravel the mysteries of the world and its tribal societies by uncovering ancient artifacts and advanced technologies that will determine the fate of the world and life itself. Check Out New Footage of Detroit: Become Human and Horizon Zero Dawn! Horizon Zero Dawn Quests and Activities Revealed! Find Out More Here! 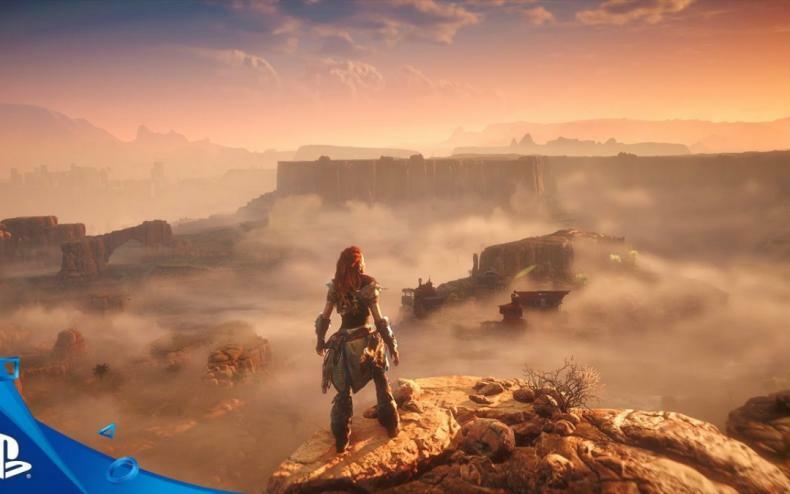 Check Out the New Horizon Zero Dawn Gameplay Footage! 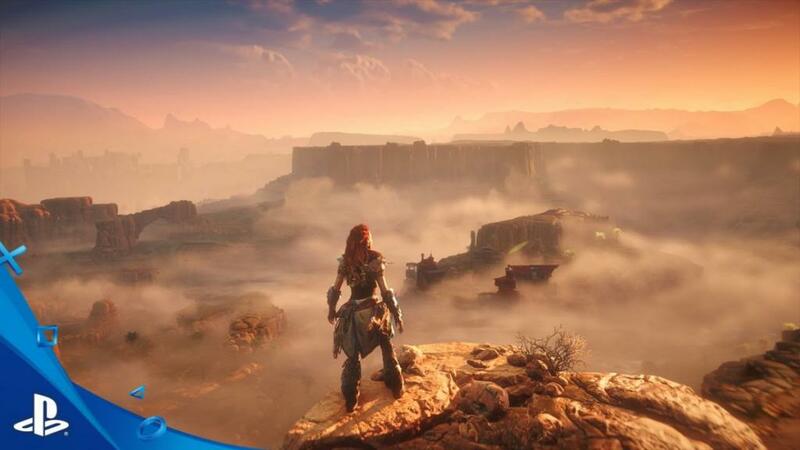 E3 2016: Watch the New Gameplay Footage Reveal for Horizon Zero Dawn! Want to the Know the Pre-Order Bonuses for Horizon Zero Dawn? Find Out Here!